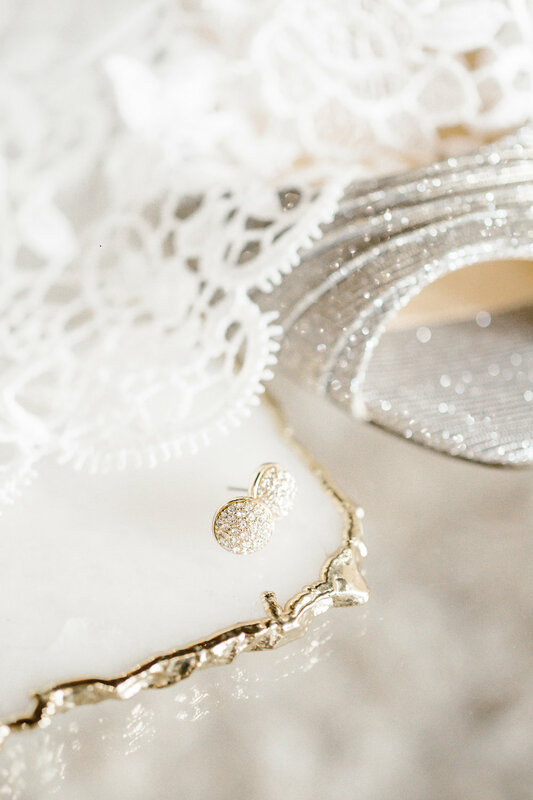 When it comes to planning your wedding - the details are truly what will bring your vision together for you. After shooting hundreds of weddings over the past 8 years - I definitely have a few favorite moments of the day... with the time for details shots being one. I love seeing what couples chose to bring their wedding day together, and I always love styling the invitations. Believe it or not, these items will get misplaced over the years, but my job is to capture everything and preserve that detail forever! So when Basic Invite asked if I wanted to use their creative wedding invitations in a styled shoot - I couldn't wait! 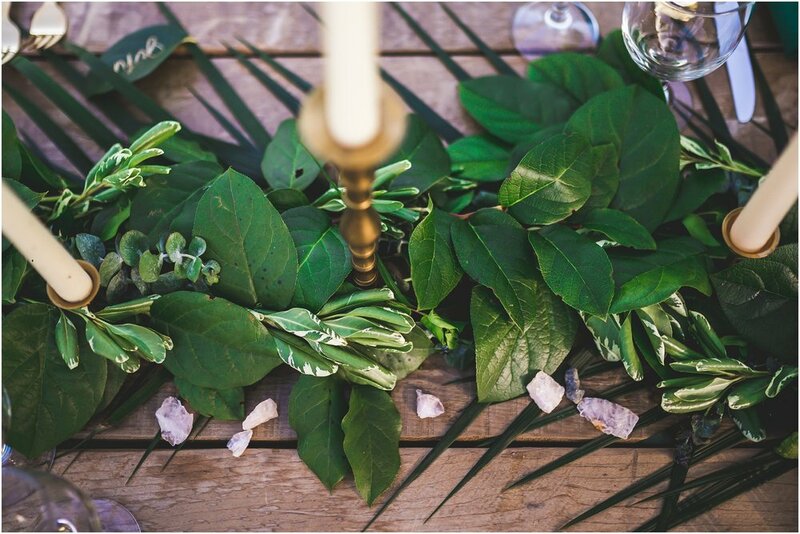 I asked my friend Anna with Rose Moss Designs to help with some loose florals for styling, and I am loving how classic and sophisticated all the white anemones and peonies look (and you already know I love Ivy)! The Quarry Venue in Knoxville was the perfect location to match the style of this set. Although we didn't get to shoot at The Quarry for these photos, it was the perfect venue for the style! If you haven't found your wedding venue, definitely go check out this unique and beautiful location! As one of the very few companies that is truly custom, they allow you to change any element of the design to over 180 different colors! You can easily change even the individual floral elements, and customize it for your wedding season and wedding colors. And with overy 40 different colors of envelopes, you can make your invitations stand out before they're even opened. Each of their wedding invitations is part of a set. You can create a custom collection of stationery matching your wedding vision in your marriage invites, corresponding insert cards, matching save-the-date cards, even a wedding website, ceremony programs, reception menu cards and table seating place cards! Basic Invite is one of the few websites that allows you the ability to order a printed sample of your actual invitation so you can see exactly how it will print as well as the paper quality before you ever have to place your final order. All of the envelopes are peel and seal so the envelopes can be quickly and securely closed. Or choose this envelope option above - where everything is easily folded into the envelope itself! They also just rolled out a new clear collection, added rose gold to the available foil line, and just introduced foil place cards! Now you can plan your entire wedding stationery to correspond; From the Save-the-Date cards, invitation suite, wedding website, guest book, programs, place cards and menu cards! This company and the options available are truly amazing! I hope you'll go check them out and order a sample of your wedding suite to see it in person! The quality and paper used are top of the line, I know you'll love them too! If you go visit their website now, they have a free printable wedding planner available! I think we all are constantly striving to get from "here" to "there" - whatever that means for you. For some that may mean a new house, a promotion, completing a degree or getting married, having children... I love when I realize that I'm in a "here" place that used to be "there." Currently, I'm sitting in my home-office of our new home (as of this past summer), with two crazy toddlers playing in the next room, and a handsome husband at work. In a prominent place on our living room wall is a canvas of a quote that is an adaptation of the verse above. It's a daily reminder to me - that God has brought us "here." I'm also reflecting on the past 8 years in business. Although I still have much to learn and changes to make, I am so very blessed to be in a "here" place. When I started photography, I would shoot anything & everything - for the experience & exposure. I was dreaming of the day that I would be "there." For me that was to contribute to the household, stay home from the corporate job and raise our family, take care of our home, and do what I love - Weddings & Elopements. Now, as of last year, I'm "Here." So for the past 2 years I've been collecting my thoughts, prayers, dreams, phrases or words that have deep meaning personally, or in symbolism... And I've landed on something I just can't seem to cross off the list. For me, the Emerald is more than just a stone. It's a deep sense of knowing who I am, and where I come from. Growing up, my family used to go "Gemstone Grubbing" every weekend during the summer. If you don't know what that is... you're really missing out! You get a big back of dirt and a miner's pan, and have to find the gold/gems. It's rugged and dirty and wonderful. :) We moved around a lot growing up, and as I struggled with each new school to find my place, family was always constant. And my big box of rocks. They're probably worthless stones, but I know those experiences and memories are more valuable than I could have imagined. It's a part of my childhood, my story, my birthstone & favorite color, and symbolizes "complex emotion, growth, peace, balance, healing." It's also said that it's the most calming color - which is what I strive to be for my clients, through the planning process and especially on their Wedding Day. 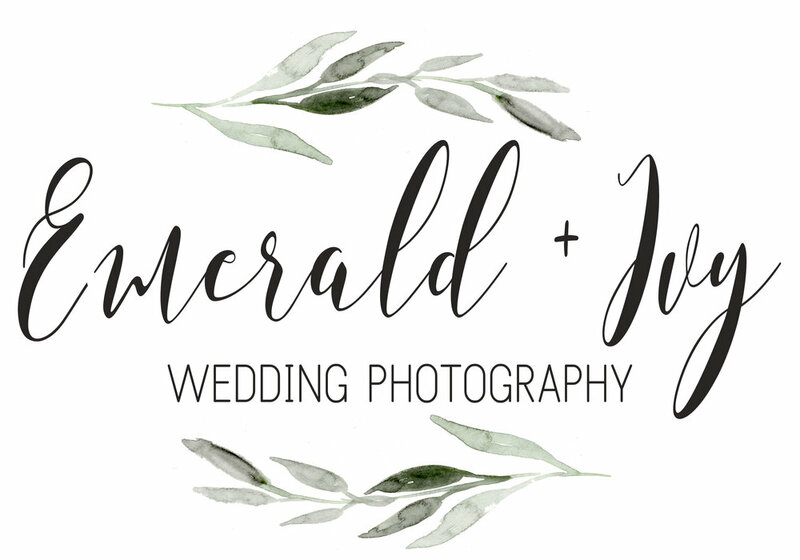 I think your photographer should be someone that settles your nerves, and has a calming presence on this sometimes chaotic and whirlwind of a day. I'm also drawn to rich color, contrast, and deep emotion in my images. Ivy is always seen to represent growth through even through the toughest environment, as well as deep emotional connection and affection, or eternal love. There's SO much I could say about my beliefs on love, eternity, marriage... but I want this part of my business name to represent another term I found in researching the meaning & symbolism of Ivy: Fidelity. Faithfulness. I believe that's one of the core values you should find in marriage. I have been so very blessed with a wonderful and faithful husband. We aren't perfect and we don't always agree on things - I let the dishes pile up and he throws his clothes on the floor. But I truly believe God created us for each other, to complete one another and honor Him in our marriage. I pray for that forever love & faithfulness for every couple I have the honor of working with. God's faithfulness has also been very evident in my life, in my business, in my heart. I prayed for this business. I desired to have something that I could do for others, and I couldn't do this without His faithfulness in giving me this talent, a supportive and encouraging husband, helpful and gracious family, and bringing the right clients along. If you're still reading, thanks so much for sticking with me! I'm not a writer, by any means! But I wanted to share my heart, in why I've decided to change my business name. I have to be honest - I was super nervous about the weather for this session in Asheville with Kristie and Max. It was supposed to be cloudy and rainy... But I could not be happier with these! The sun even came out for us by the time we went downtown! We started out at Carrier Park, where Max proposed! There was literally so many spots full of color! Then we headed to downtown Asheville, and just parked and walked around the block to see what we could find! I am loving that blue wall!